Great company, quality work, integrity, and punctual. Mark is a community member and has a great reputation, I hired him based on referrals from friends. He was everything they said. Definitely a quality and honest person. You can see it right away when he shows up. He’s also very easy to talk to and will give you suggestions from his years and years of experience. My projects were smaller, he does major electrical for new construction. I’ve never seen a truck like his either. This guy is serious about his work. Fornoff Electric is the best contractor I have used. Mark Fornoff’s professionalism, work ethic, and work product is amazing! He will always go the extra mile and is very patient with those who can not make a decision. He always provides the most cost effective approach to complete the job. He has never steered our family or friends wrong. 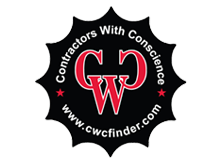 It is not often that you can find a contractor who does excellent work and is incredibly trustworthy. My family and I highly recommend him for any of your electrical needs. Mark Fornoff and his capable crew exceeded our expectations. The completed two major jobs for us in a short amount of time, with precision, skill and attention to detail. FORNOFF ELECTRIC is HONEST, RELIABLE and EFFICIENT – we experienced first hand! 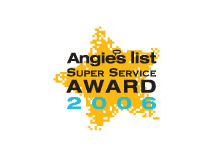 They are electrical contractors that service Thousand Oaks, Agoura Hills, Westlake Village, Oak Park and the Conejo Valley. Re-installed a 240V, 40 amp dedicated line for a new stove (that a non-professional had installed incorrectly, my mistake in not hiring a professional in the first place!). Plus cleaned up a bunch of electrical issues around the house and in several sheds, based on my home inspection report. Mark was able to come by on short notice to review the work that needed to be done. He provided a written quote within a day, and we scheduled the work within a few days after that. His guys were friendly and professional and did everything in one day. Mark is my electrician from now on. Five outlets in our house went dead. An outdoor junction box had a short and was causing an entire series of outlets to fail. The problem was diagnosed and repaired in the same afternoon. The junction box outdoors was re-located indoors. Mark Fornoff came out to the house very quickly (within the hour) and was able to find/fix the problem that afternoon. He seemed very knowledgeable and friendly. OUR HOUSE BURNED LAST CHRISTMAS EVE. THE FIRE WAS CAUSED BY A CONSTRUCTION DEFECT IN THE WIRING. I CALLED MARK FORNOFF AROUND 3 PM ON CHRISTMAS EVE AND HE CAME RIGHT OVER. HE WORKED INTO THE NIGHT MAKING SURE ADDITIONAL HAZARDS WERE ELIMINATED AND THEN HE RE-ESTABLISHED POWER TO THE REMAINING PORTIONS OF THE HOUSE. ABOVE AND BEYOND THE CALL — HE REALLY WENT OUT OF HIS WAY TO HELP US. THEY WERE GREAT, AND WE HAVE USED THEM FOR YEARS. WHENEVER THERE WAS SOMETHING WRONG, THEY TOOK CARE OF IT RIGHT AWAY. EVERYTHING ABOUT IT WAS PERFECT. I read this review about Fornoff Electric from another site so thought I would share: Mark Fornoff and his capable crew exceeded our expectations. They completed two major jobs for us in a short amount of time, with precision skill and attention to detail. FORNOFF ELECTRIC is HONEST, RELIABLE and EFFICIENT – we experienced this first hand! 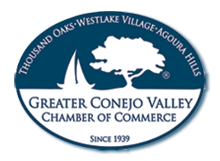 They are electrical contractors in CA that service Thousand Oaks, Agoura Hills, Westlake Village, Oak Park, and the Conejo Valley. Excellent overall experience. Mark provided same day service and was very efficient and courteous. He was in and out within a half hour. Would definitely use his services again. Mark has done many projects for me over the last 5 years. He had put low voltage landscape lighting around the perimeter of my home as well as upgrading my kitchen and family room to in ceiling spots for a more contemporary look. Recently changed out my old transformer to a more efficient system. Mark is a rock star of electricians. Very trustworthy. I can leave him alone in my house if I need to run a quick errand. I have used Mark’s services for many years now. He first did the electrical work for my pond in about 10 years ago. Since then he and his crew have done pot lights in my kitchen, and entry, installed 2 ceiling fans and changed some electrical outlets. Mark and the crew were always very reliable! My pond electrical has never failed, the kitchen and entry way lights are working fine years later as well as the ceiling fans and added/adjusted electrical outlets. Work completed excellently, professionally and efficiently. Courteous and personable. Will calll him again without hesitation. Mark was very professional but also very personable and a pleasure to have in my home. He charged a fair price and I was very happy with his work, he cleaned everything up after completing the work. Great attention to detail. Mark was able to come by on short notice to review the work that needed to be done. He provided a written quote within a day, and we scheduled the work within a few days after that. His guys were friendly and professional and did everything in one day. Mark is my electrician from now on.